Tome of Battle: Why is it Divisive? Thread: Tome of Battle: Why is it Divisive? Re: Tome of Battle: Why is it Divisive? ToB feels like it should replace Core martial classes, but there's not enough material in ToB to do that. There's no ToB archer, there's no clean barbarian conversion without actually dipping Barbarian, there's no rogue (a swordsage can replace one kind of rogue, but not the whole class), there's not even officially an unarmed swordsage. And that's just core, then you've got years' worth of class splats that don't make sense in a world where elite martial types use maneuvers. Even for just the three ToB classes there aren't enough maneuvers to fill a world. 3.5 has about 1600 spells and less than 200 maneuvers. Cut that down to just the good maneuvers and you'll see the same couple of warblade builds over and over. The splat support just isn't there, and the whole system is hard to expand. Every class gets a fixed set of disciplines, every discipline has a prerequisite scheme that becomes meaningless with enough new maneuvers. So I like ToB for what it is, but it only really works for a world where most melee are still fighters and barbarians and one of the PCs gets to be special. Personally, I think it's quite easy to de-fluff it, but I guess that's a matter of opinion. But as for why psychic warriors don't know maneuvers--for the same reason fighters don't know psionics and paladins don't have full cleric casting. That's not they style of fighting they're focused on. And if they want to start focusing on it, they can multiclass to represent wholly focusing on it or take the martial study feat to represent learning a little bit about it. Actually, I love ToB, but I definitely agree with the first part. It came way too late in 3.5 to have anything else build on it. If you just use the Tome itself, I can confirm that yes, you will indeed see the same Warblades over and over and over. Thank the God of Blood for usable homebrew. On the other hand, as to why eldritch knights and psywarriors don't have maneuvers, you could just say that the Tome classes put as much effort into learning to swing a sword as those classes put into learning magic or psionics. There's no rabies in 4e? Yeah, I don't think that problem is a deal-breaker or anything. It just means you need an explanation for maneuvers beyond simply "good at fighting." It doesn't have to be that the martial adepts all went to kung fu school, but you need something. I don't really agree: clearly the Fighter was supposed to be learning/practicing/training at something while the Cleric was praying. He should have something to show for it, but doesn't. Meanwhile, the Crusader, Swordsage, and Warblade do. And the Cleric can easily take time out from his praying to learn a maneuver or two (Martial Study feat). I think mentioning The Wheel of Time is an excellent illustration of this — Perrin and Mat are both more-than-capable fighters, but neither's trained as a swordsmaster — which is why some other characters who have know moves that they do not. Notably, even though Gawain and Galad (I think those are who it was) are trained swordsmasters and know a lot of tricks Mat doesn't, they lose to him in that spar outside the White Tower. And of course, later Mat gains the memories. After that, Mat probably knows more swordskills than anyone on the planet. Last edited by Veyr; 2011-04-30 at 01:39 PM. Well the 4e to ToB comparison is very similar. ToB is called by some as being like magic because it has a system that superficially resembles the magic system. People that often play ToB will tell you despite the resemblance they do not play at all the same. In 4e some people will tell you fighters are the same as wizards as they both use the same basic structure (the AEDU structure). People who play 4e a lot will tell you that despite looking so similar they don't play at all the same due to role and style differences. And for those that want to know if you did not like daily powers on your fighter they have fighters without dailies using the knight and slayer sub builds. ToB has a lot of similarities with 4e for a reason as ToB was a vehicle for creating mechanics that they decided to use in 4e. One argument I really really hate is that "there is no anti-maneuver field, you can't counter maneuvers with anything, waaaaah, mommie". Because it's not true. Maneuvers are pretty much attacks with small modifications. And if there's anything in D&D you can defend against then it's attacks. I won't even bother to list the possibilities. "Ceterum censeo mediomundum esse delendum." A balor is literally made of evil - for all we know it's composed of malecules and cruelectrons. I will leave this world like I entered it - screaming and bathed in blood. On top of that you can stop maneuvers by paralysis. You can't initiate a maneuver unless you can move. ToB was the starting point, but 4e simplified it a lot. 4e doesn't have mid-battle maneuver refresh or maneuvers known/maneuvers readied. Or most classes don't, at least. I'm pretty sure this is 99% about Iron Heart Surge and White Raven Tactics. And it wouldn't work anyway. I'd just remove the condition of living in a world with anti-maneuver fields. Last edited by stainboy; 2011-04-30 at 03:21 PM. Actually you can refresh encounter powers in 4e by various means but it is a powerful ability. Unlike in ToB they made sure that encounter powers were very powerful and that at wills were powerful. This made the need to have a constant refresh mechanic not desirable. ToB is what helped them decide that refreshing mechanics are not needed. Lastly fighter is a terrible way of trying to mimic 4e. 4e does not do full attacks and so a fighter from 3e would not be able to mimic 4e combat nor should it try since the other classes were changed as well. You are missing the point completely anyway. The point was that the argument used against 4e (that warriors and casters use a similar mechanic structure so they must be the same yet they play completely differently) is the same as ToB (that ToB and casters use a similar mechanical structure so they must be the same yet they play completely differently). But refreshing mechanics are needed in ToB. See the swordsage discussion earlier in the thread. My only point is that maneuvers and 4e powers feel very different in play. Seriously, that's it. You seem to think I'm going somewhere else with this. They are needed in 3.5 because of how the game works that is why it is silly to try to say that a fighter using his feats to get maneuvers is like 4e since if 4e classes were translated to 3e they very well might be changed to have more power recovery. The system is different in this regard. And you are still missing the point completely. My point is that the argument being used against ToB (that they are casters since they use a similar style of mechanics to casters along with the rebuttal that despite this they play very differently from each other) is the same as used against 4e (bolded not for anger but just to insure it is not missed). I am not actually talking about the play experience between ToB and 4e (while ToB was an obvious influence on 4e mechanics I am not at this time trying to make a conversation about the similarities between 4e and ToB outside of what is pertinent to a discussion about how the same argument is leveled at both). I've never seen ToB as any anime-type thingy. I really don't like anime much, but I see ToB maneuvers as more "old school kung fu movie" type of attacks. And I like that. A lot. There are some disciplines which are closer to "old school wire-fu movie", channeling inner energy to actually breathe fire, etc, and some people think this is derived from anime, as opposed to the anime they might think it's from often referencing old chinese legends, etc. Good lord, HOW many anime have been thinly veiled renditions of Journey to the West? Kinda an "older than you might think." And those schools (desert wind, I'm lookin at you) can be avoided if you want more swordsman feel, and less ninja feel. Last edited by huttj509; 2011-04-30 at 11:12 PM. My biggest problem with the anime argument is, what anime do you mean? Cowboy Bebop, with it's space cowboy theme? Gurren Lagann, with it's beyond the impossible giant robots theme? Ghost in the Shell, with its cyberpunk theme? Clannad, with its school drama theme? Record of Lodoss War, with its D&D campaign theme? Plus the 'barbarian/warlock/paladin/anything D&D is anime' thread over on BG. People who say something is too anime lose all credibility with me. Players are like water. They go everywhere. So you need to cut the channels that direct them where you want them to go. If they try to skip the channel, let them. Cut another one ahead of them. Eventually, they'll take the channel. They'll even think it was entirely their own idea. When you try to build a dam, that's when they resent you. Huh? Are you saying Cowboy Bebop isn't about awesome music? Of course not, where did you ever get that idea? I just declare that they are in fact magic, pretty much like paladin smite or all the swift-action spells rangers get outside of core (but they still don't provoke AoOs etc; the only mechanical houserule I make is that they are considered Su which means suppressed by an AMF....boo fricking hoo). I just detest the fluff of "I'm so awesome I can shadow-jump or heal allies by hitting stuff thanks to my disciplined 'martial study' and by meditating for a minute before battle". Any in-world NPC who saw a guy lighting his sword on fire would call it 'magic', and the mechanics of initiator levels, #s of things known, 'martial scripts' instead of scrolls, etc. are all just reworded usage of spell-ish DnD mechanics. Which is fine. Another thing is - I usually play in Forgotten Realms and actually care about the verisimilitude of the world - so having a new class of spells is fine, but having a new kind of 'thing' entirely just makes new assumptions about the setting. Last edited by ffone; 2011-05-01 at 12:41 AM. 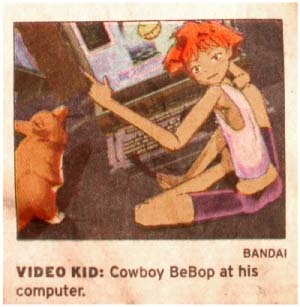 Cowboy Bebop is about a kid at his computer, amirite? Er... The Lighting swords on fire, jumping through shadows and healing are already SU. The other stuff is the stuff thats EX. Actually, Shadow Jaunt/Stride/Blink isn't tagged SU. Nor are the healing strikes. Shadow Jaunt/Stride/Blink have the [Teleportation] tag, which means they are explicitly magical. I was wrong about the healing strikes though. Last edited by RaginChangeling; 2011-05-01 at 12:57 AM. I realize some of the maneuvers are Su, but not all of the fanciful ones....and IMO - and this is a purely personal, fluff preference - the effects of many of the maneuvers and stances just doesn't square with the fluff of the book, which drives home this ridiculous theme of "These dudes engage in Rigorous Martial Study and are really disciplined, stone-cold skilled Warriors", which reads like the backstory of so very many bad homebrew "ultimate katana master" type PrCs whose fluff is basically "we're fighters, but the good ones". Just call it magic, don't make me learn to call it 'initiator level' instead of 'caster level', 'martial script' instead of 'scroll', etc. And 'maneuvers' and 'stances' - c'mon, that makes it sound like it's just particular handwork and footwork from fencing class. Just call it magic. Last edited by ffone; 2011-05-01 at 01:00 AM. The healing strikes make much more sense if you think of HP as not being just wounds and think of them as the designers have said they are since before 1e which is that they represent physical damage, exhaustion, being out of breath, flagging resolve, etc. I hear this a lot but it just doesn't square or cover the cases. Beating up on a cow shouldn't heal my allies or improve their resolve (unless they're psychos). It can heal mindless living creatures, for whom morale should be a non-issue. Seeing an ally beat up something isn't going to make me less physically tired (except possibly via morale again). Also - is there a restriction that the allies have to be able to see the Crusader; would a Crusader under Greater Invis (and lets' say his foe is as well) be able to heal his allies this way? (There may be such a restriction, I forget.) Why do only the crusader's smacks - and only certain smacks of his - raise ally morale? What if the ally is a pacifist, like an escortee NPC who abhors seeing fighting? Also - even the bard 'inspire' abilities are Su. Sure, you can point to other unrealisms in the HP system (1 HP is as good as full, etc.) but that doesn't make the Crusader heal-smack any more logical as a nonmagical ability, it's just a way of saying "give up, verisimilitude is a lost cause, so you shouldn't midn if we get even more unrealistic" (which is a fine mindset, but it's not an answer, just a way of saying 'I don't care, you shouldn't either'). Last edited by ffone; 2011-05-01 at 01:11 AM. Are you claiming ToB doesn't call it "sword magic"? Converse fallacy. I didn't say there was no sentence of fluff in the book that I did like.